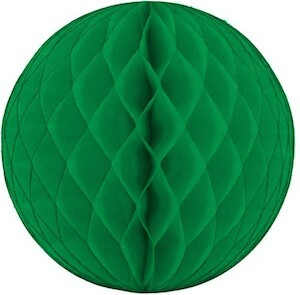 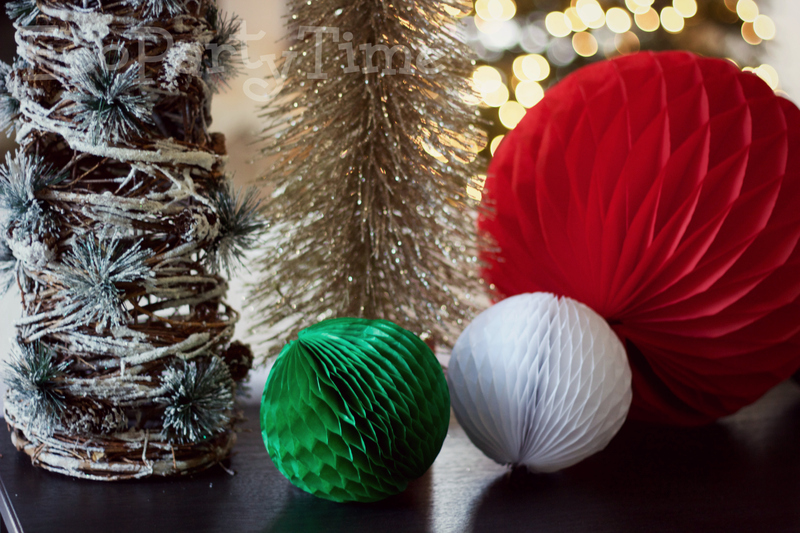 One super easy way to decorate for Christmas is with Ecopartytime’s Green & Red Tissue Balls. 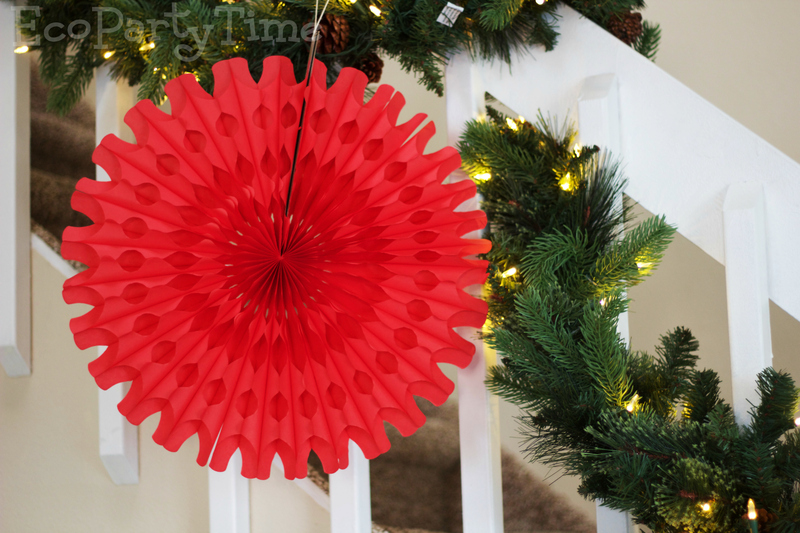 I use these on my staircase with garland and lights. 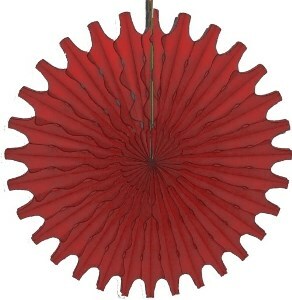 For my fireplace, I typically hang red and green Tissue Fans. 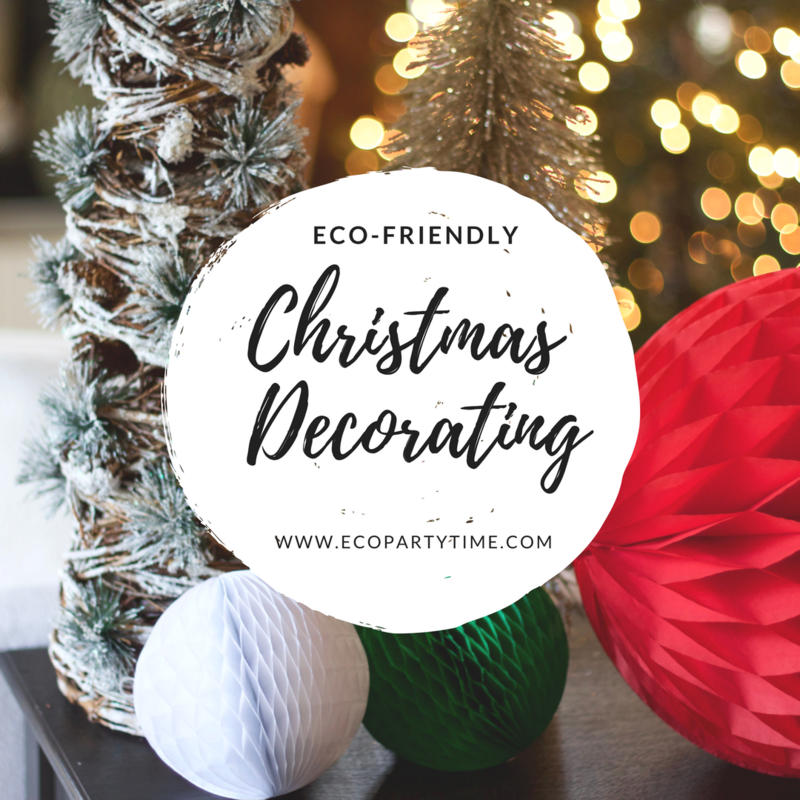 You can do this specifically for Christmas parties or just leave them up the whole month of December! 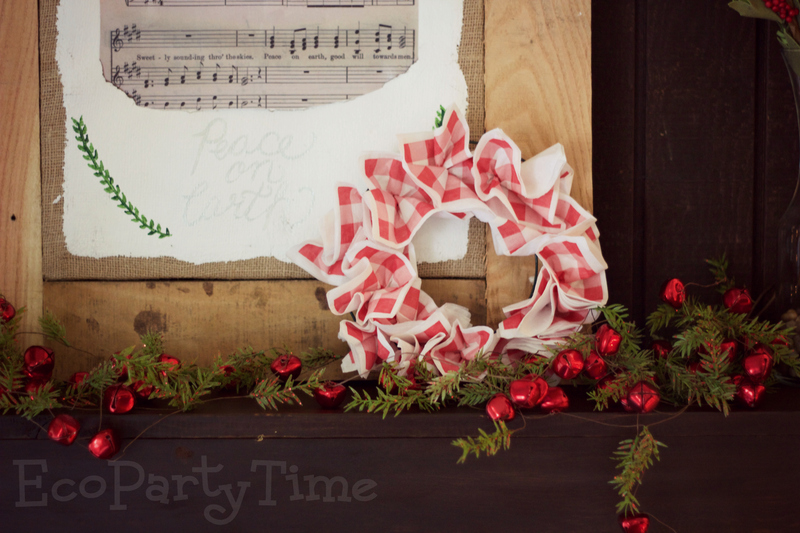 Plus these are all reusable so you can pack them up and use them next Christmas! 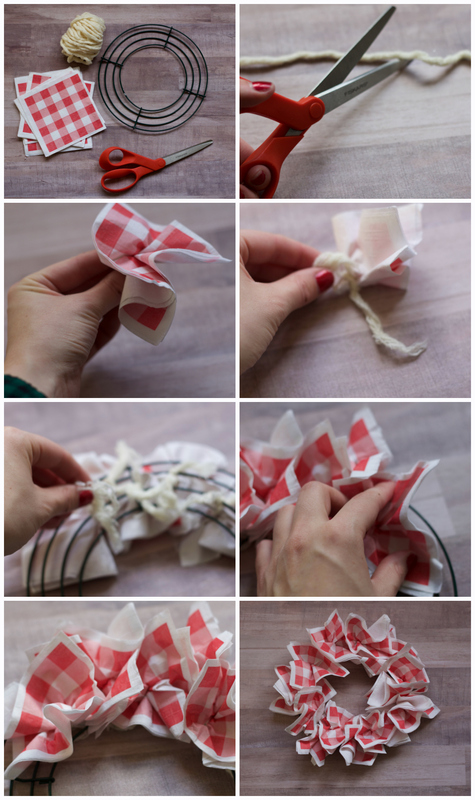 DIY Wreaths take a little more time but are a super fun way to re-use some things you may normally put in the trash. 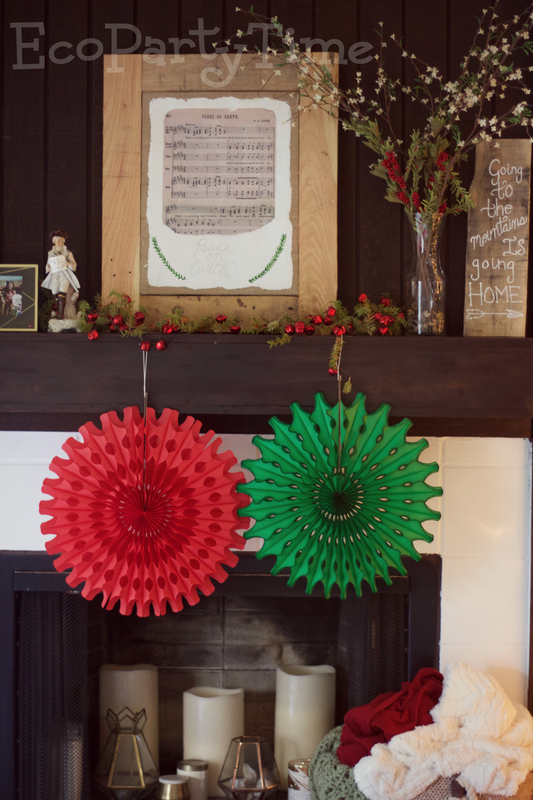 I’m a knitter so I use my yarn scraps to make these wreaths. 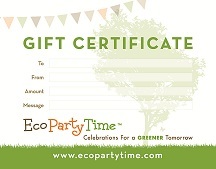 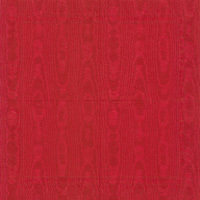 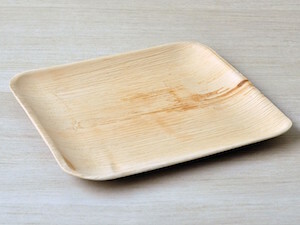 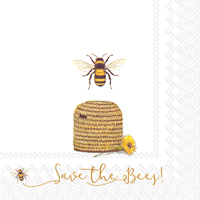 Ecopartytime has great Cocktail Napkins that are perfect for this craft! 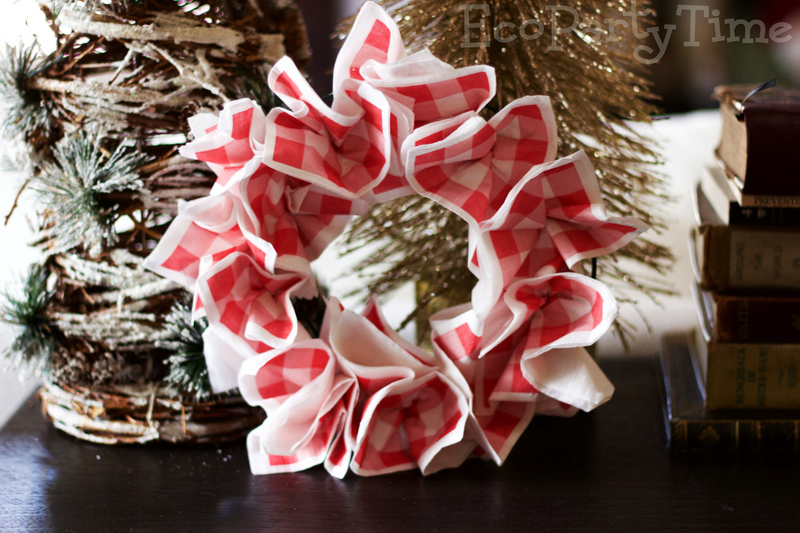 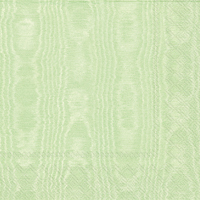 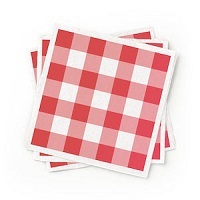 If you wanted to experiment, Ecopartytime also has some pretty Snowflake Napkins. 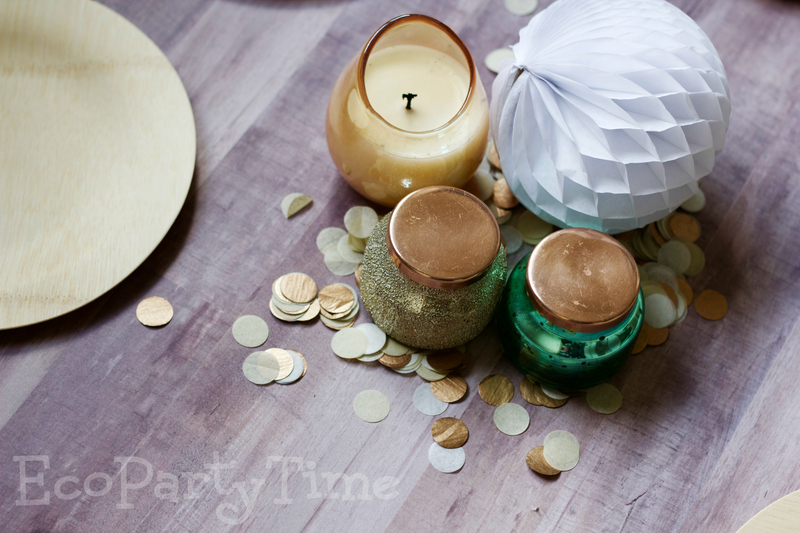 Gorgeous table centerpieces aren’t hard to achieve with Ecopartytime’s Paper Confetti! 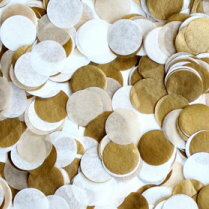 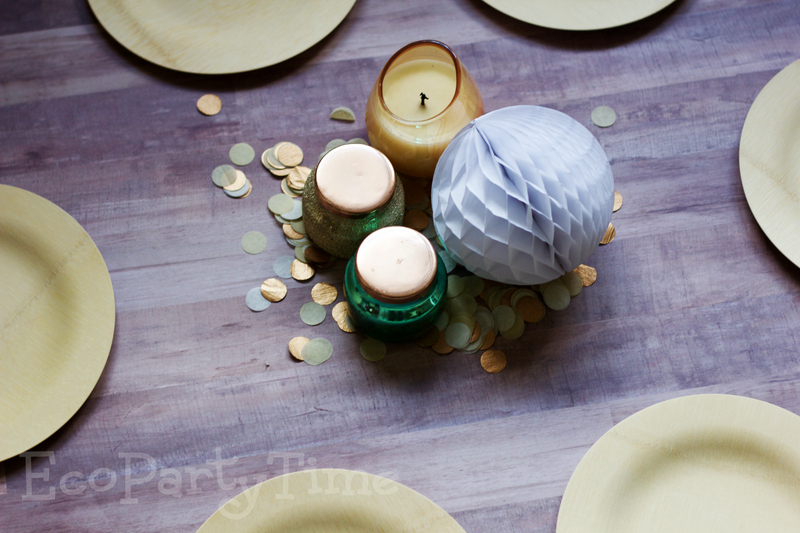 Here’s some inspiration of how I used Ecopartytime’s Golden Paper Confetti for my dining room table. 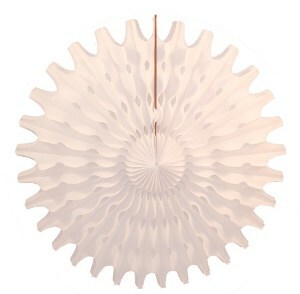 You could also use it for a coffee table in your living room paired with some pretty candles.